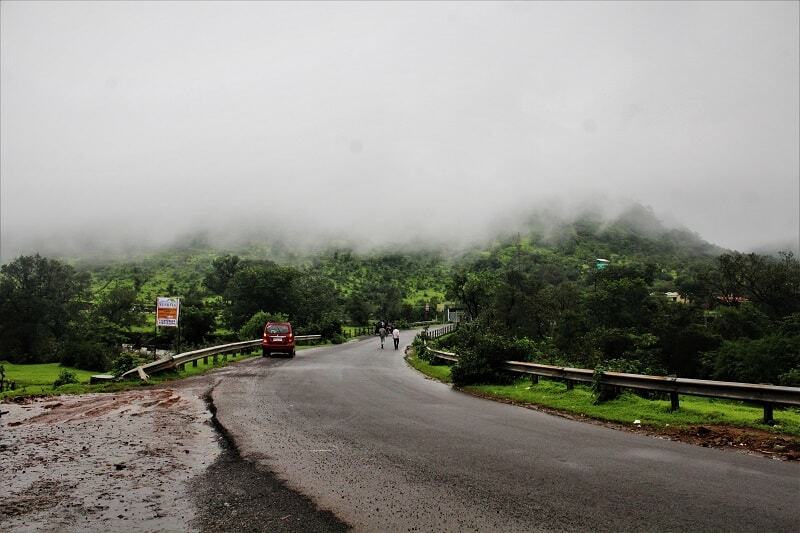 Hello Punekars, have you heard of the Tamhini Ghat road, a road often traveled yet unexplored? Monsoon went for a break from last 10-15 days here in Pune, but thankfully it is back!! 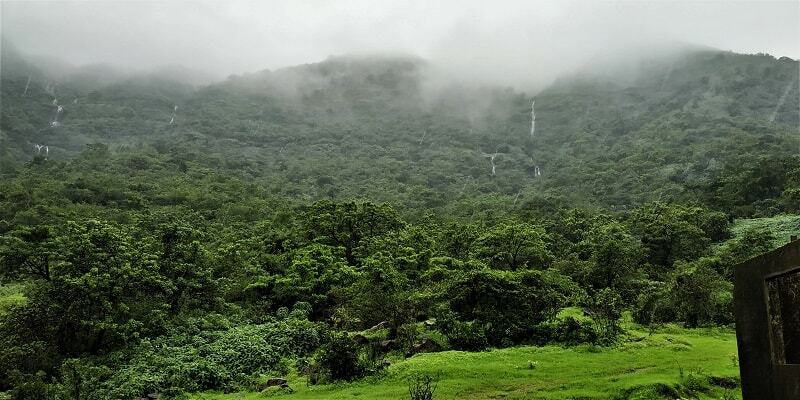 Owing to the heavy rains, it’s the perfect time to explore the Tamhini Ghat region, a region surrounded by Mulshi Lake, countless waterfalls and dense forest cover. Abhi!! How can you say that the Tamhini Ghat road/region is still to be explored? 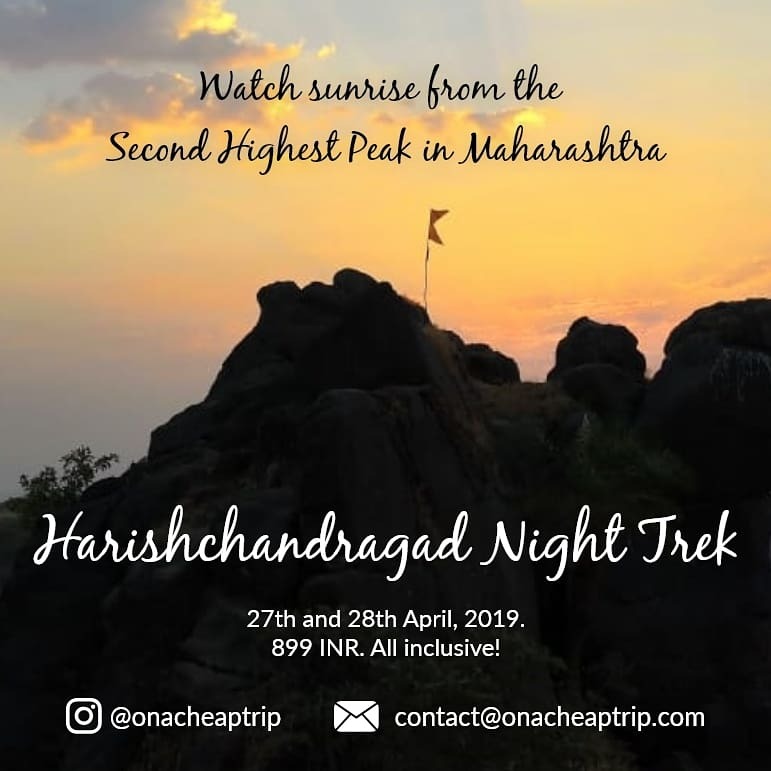 Most of the Punekars would have either specifically planned their weekend to Tamhini Ghat or must have passed through it on their journey to Devkund waterfall/ Andharban Jungle trek/ Raigad/ Kolad/ Konkan region. 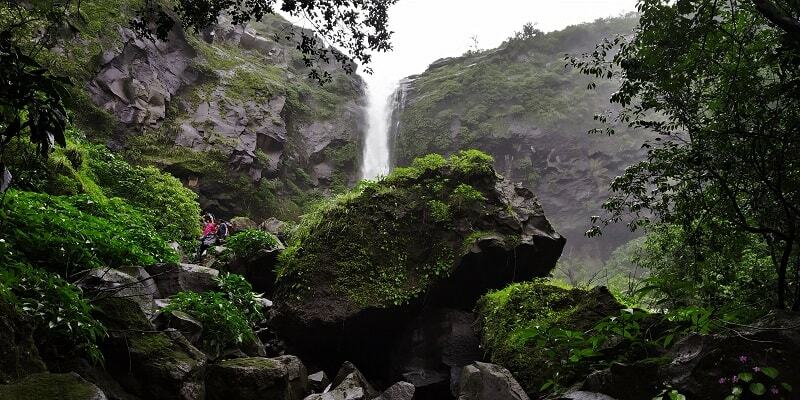 Water falling by roadside, foggy conditions, low clouds, beautiful Mulshi lake, and lush green surroundings are what most of you must have experienced on your journey to Tamhini Ghat. But let me tell you, there is something more about this region. I have been to Tamhini Ghat road a couple of times, but surprisingly never noticed that it has so much to explore. Before going into details of places, let’s first talk about this road route. Located around 40 kms from Pune, Tamhini Ghat is a mountain passage situated on the crest of the Western Ghat mountain ranges. 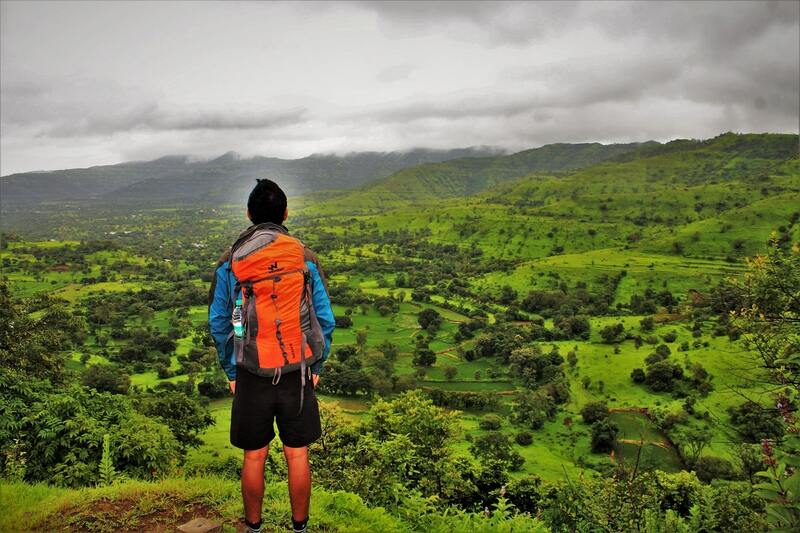 The Ghat section starts from Mulshi Lake and ends at the Orchard Café Sanaswadi covering a total distance of 44 kms. 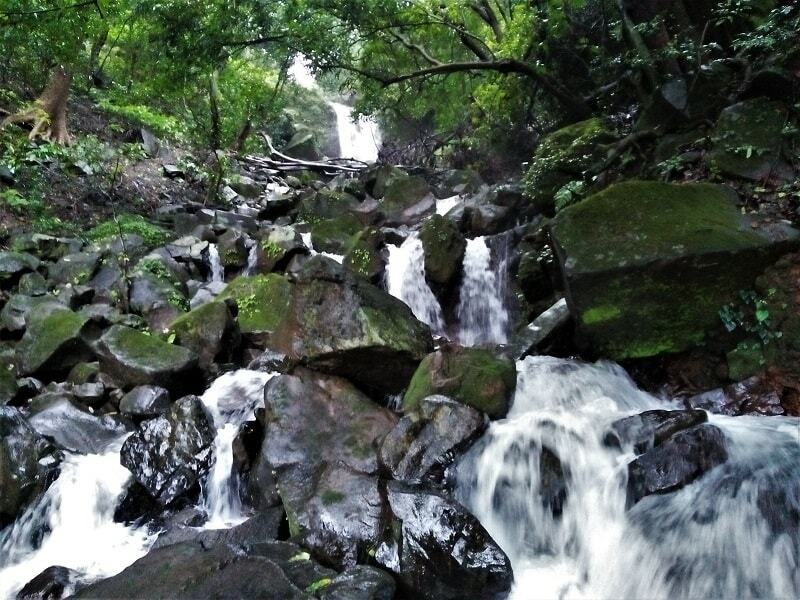 During the monsoon season, the place transforms into a green velvety carpet with numerous waterfalls all along the way. 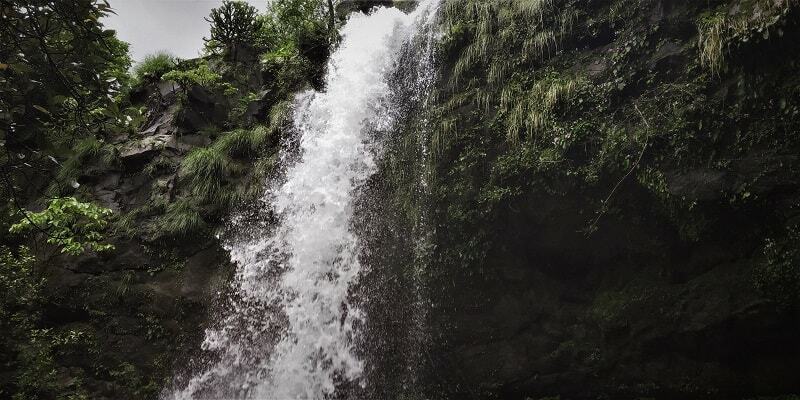 One can spend an entire day here by trekking through the dense forest in search of the start point of a waterfall. The place can only be explored if you have your own private vehicle!! 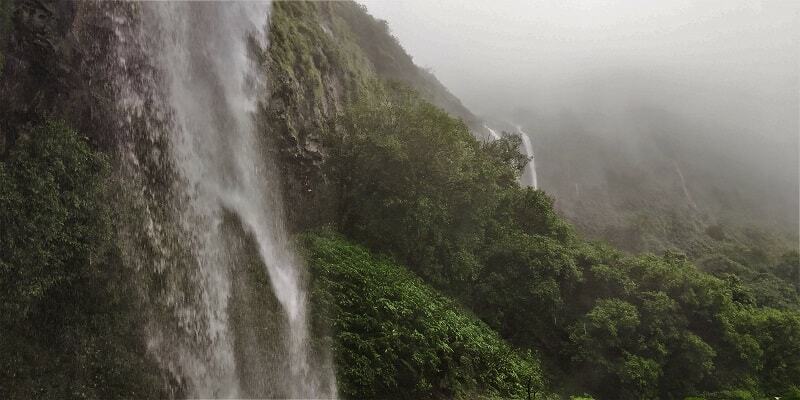 If you are coming from Pune, take the Mulshi Road which starts after the Pirangut Village. 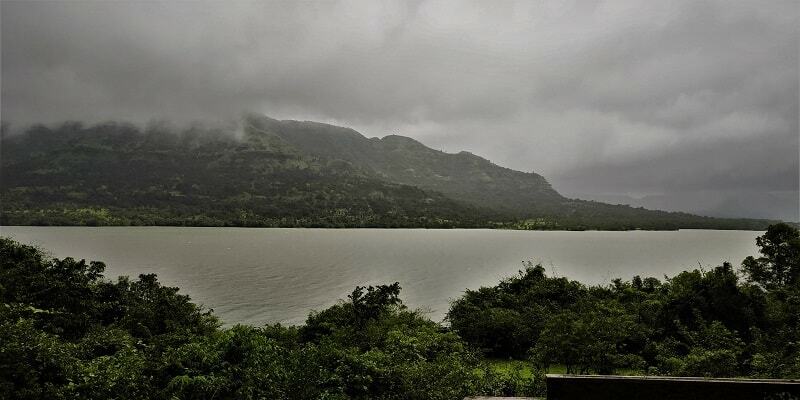 After riding for around 20 kms, you will reach the beautiful Mulshi Lake. From here, the Tamhini Ghat road begins which stretches up to the Orchard Café in Sanaswadi. From the Café, you can begin with the return journey. If you are coming from Mumbai, take the Rasayani – Imagica Theme Park – Pali –Vile route. 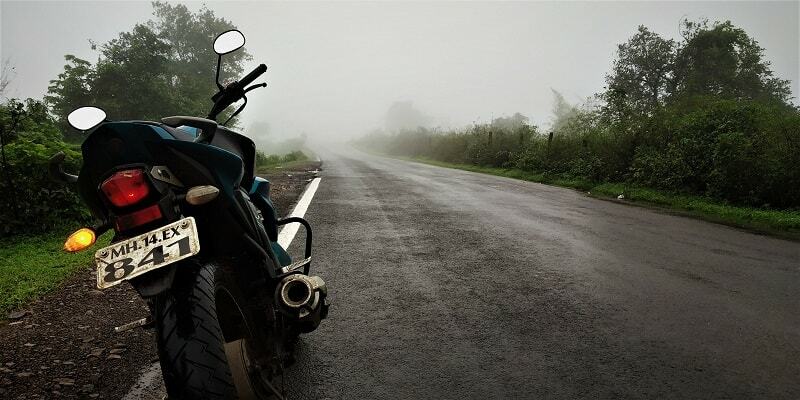 You can ride all the way up to Mulshi and plan a return journey from there. 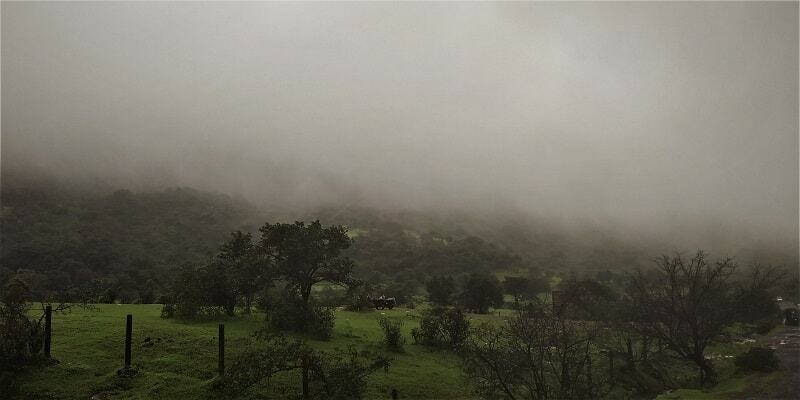 From the last couple of weekends, I have been doing full day road trips in and around Pune and getting completely drenched in the never-ending rains. Being wet for the entire day may be the probable reason for my runny nose and sore throat. 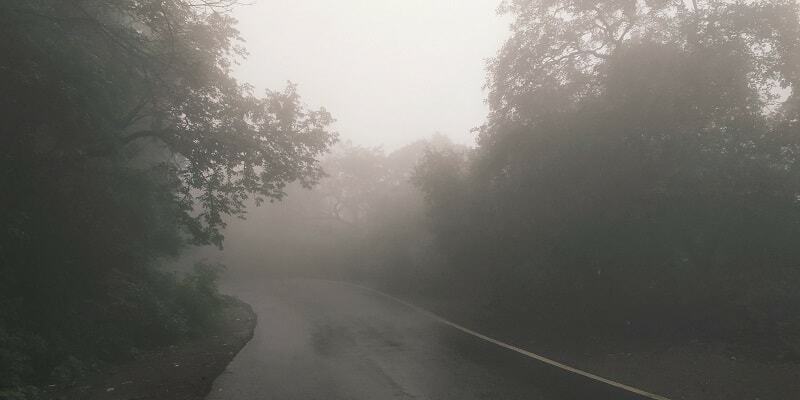 Thus, this time around, I decided to take a short trip and Tamhini Ghat popped up in my mind. 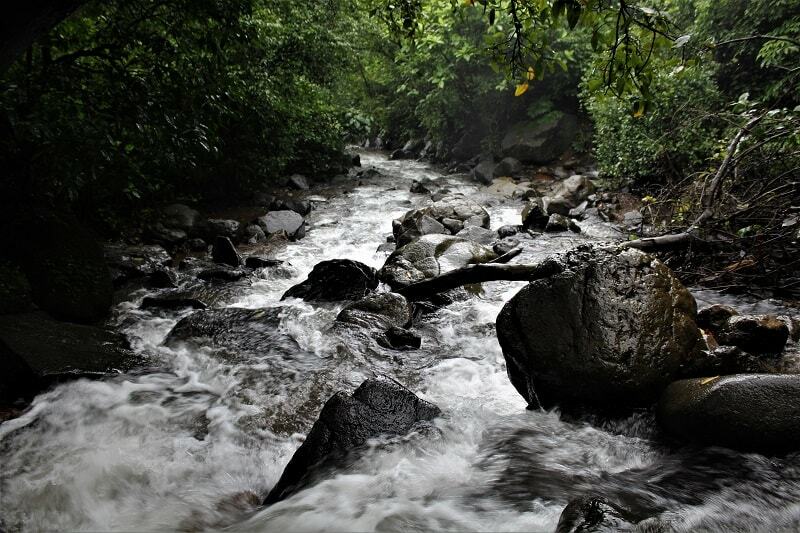 Though I had passed through the Tamhini Ghat road a couple of times, I never thought about exploring the Ghat itself. Looking at the pictures of the water falling by the roadsides, I wondered why I hadn’t thought of trekking to the start point of these waterfalls on my earlier visits. On a Saturday morning, I along with one of my friend started from Pune around 6:30 am. Abhi, why so early? Generally, the Tamhini Ghat region is very crowded over the weekends, and I am always looking to avoid the crowd. As we passed the Pirangut village, the views started getting increasingly good. After riding for an hour we made it to the Mulshi Lake. 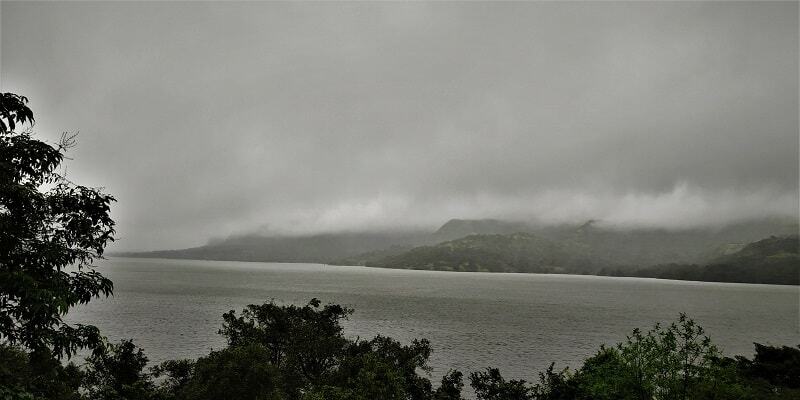 Surrounded by mountains in the vicinity and covered with dark clouds, the view of the lake was simply breathtaking. 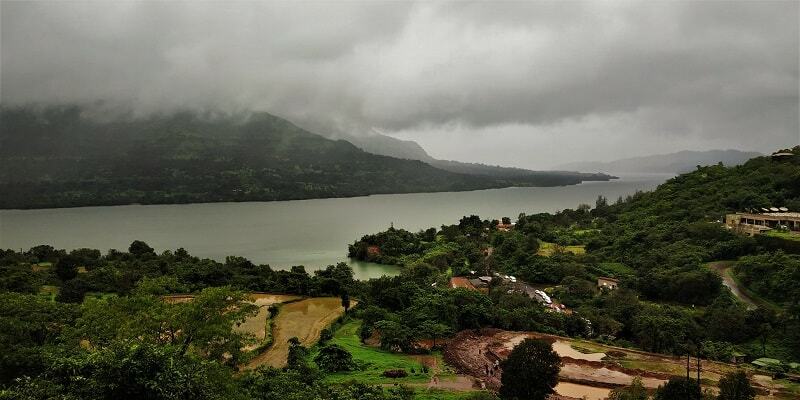 It is from here the Tamhini Ghat road begins, firstly passing along the Mulshi lake and then surrounded by huge mountains, dense woods and lush green valleys with numerous waterfalls all along the way. The road is in a very good condition, with just a few potholed sections. But the scenery around would definitely compensate for such sections. 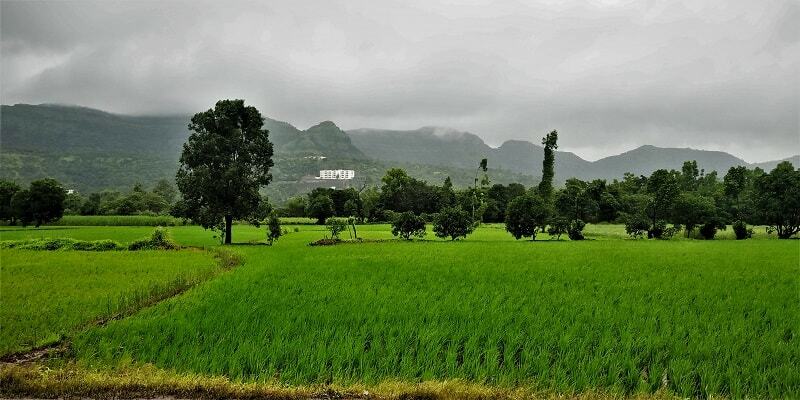 The entire stretch from Mulshi to Tamhini is a treat to eyes and attracts a lot of day trippers from Pune and Mumbai especially during the monsoons. 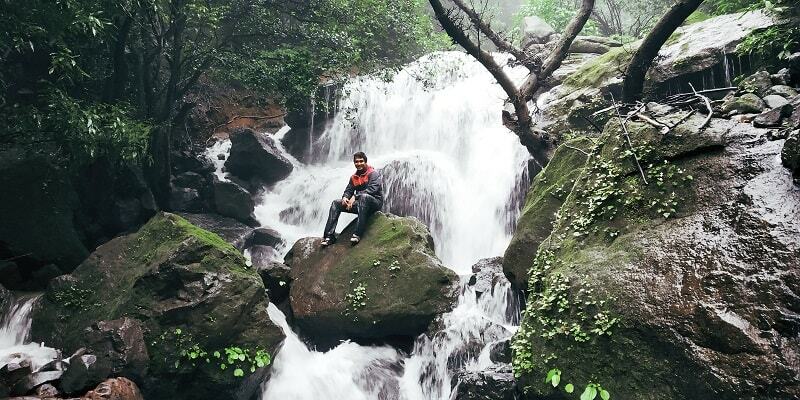 After spending a few minutes just glaring at the view of Mulshi Lake, I headed for the Palase Waterfall. 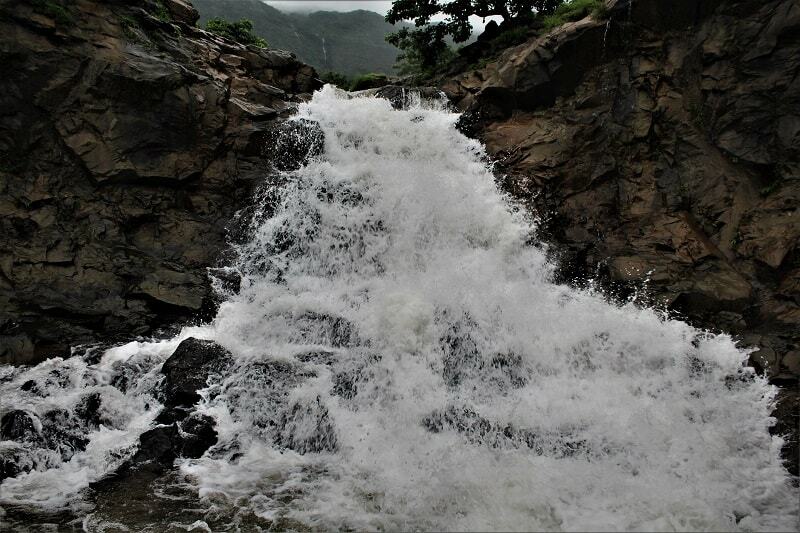 It is the first major waterfall that you would encounter on your journey to Tamhini Ghat from Pune. The Palase Waterfall seems to be privately owned but that isn’t the case. Just by walking a few meters from the road, you will reach the waterfall. I wanted to explore the source of the Palase waterfall and hence decided to walk along the waterfall, and sometimes through the waterfall as well. After walking for a few minutes, I reached a point where there was another waterfall falling into a pond. Taking bath in that unnamed waterfall was extremely refreshing. I kept on trekking further along the trails and made it to yet another waterfall. 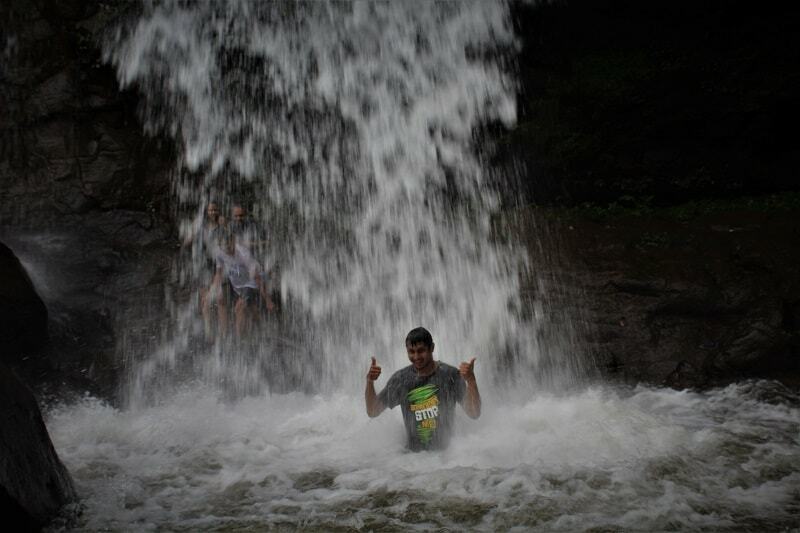 It was just an incredible experience to trek through dense woods and finding unnamed waterfalls. Below is the Gmaps location where exactly I found those waterfalls. 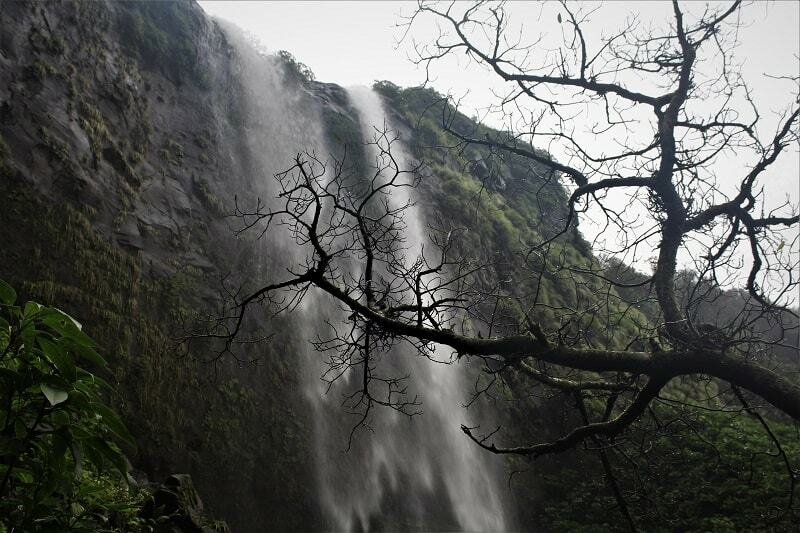 After exploring the surroundings of Palase waterfall, I headed further on the Tamhini Ghat road. After a beautiful road journey for next 20 kms, I made it to Tamhini Waterfall (Don’t confuse it by Tamhini Ghat waterfall, both are separate on Gmaps). Again I had the same plan of trekking along the waterfall to find its source. And yet again when I reached the source of the waterfall, I was just stunned to see the beauty of the waterfall. Below is the GPS location where exactly is the waterfall source. 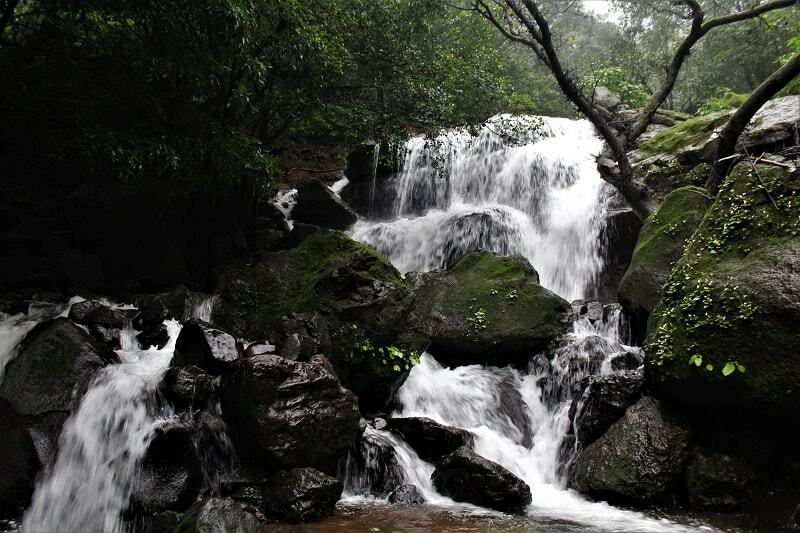 Tamhini Waterfall – such a beauty!! From this location, you can see a waterfall flowing at a little distance (water falling in 2 streams). I decided to trek to the base of the same and it was just a fabulous experience. I came back to the road and continued my journey ahead. It was raining heavily since morning and clicking pictures was really a tough task. The way I explored the start point of the Palase and Tamhini waterfall, I believe it can be done for most of the waterfalls in the Tamhini region. And exploring the source is definitely a moment to cheer about. It was getting a bit dark and I decided not to explore any more waterfalls and just to have a ride to the Orchard café and drive all the way back to Pune. Also, the foggy weather didn’t allow me to explore much of the surroundings. But anyways I was satisfied with what I had explored for the entire day. At every nook and corner of the Tamhini Ghat region, you can see small dhabas selling tea, Maggi, pakora, and corn. Having any of these in such surroundings is a moment to remember. 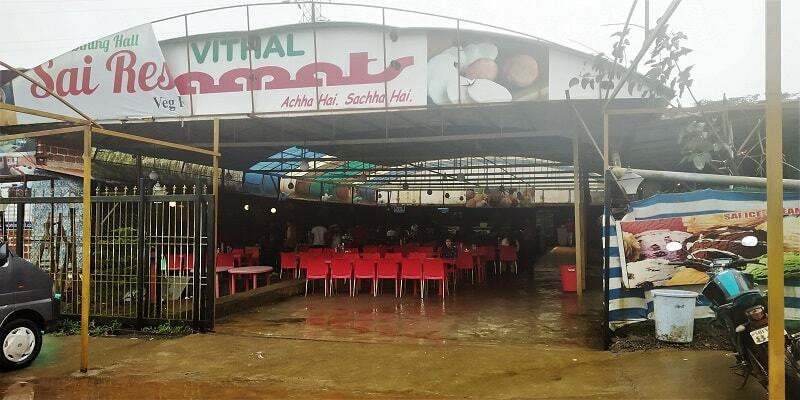 I did eat Dosa, Vad Pav at Hotel Vithal Kamat and would highly recommend them. 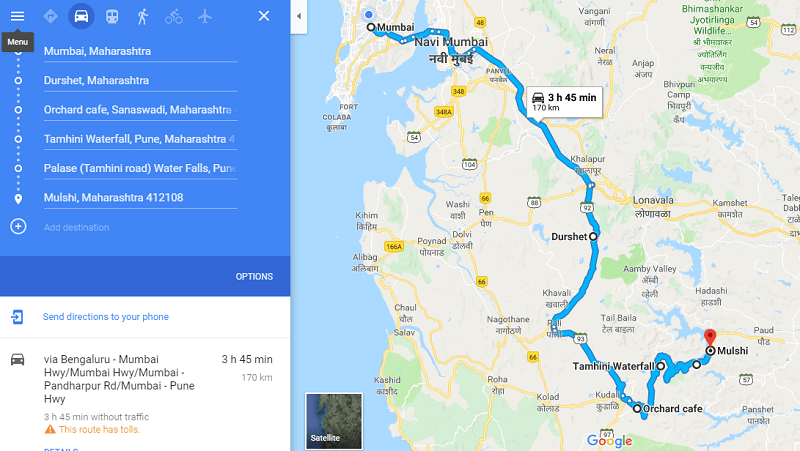 Quick Bite located near Mulshi is also a great option. 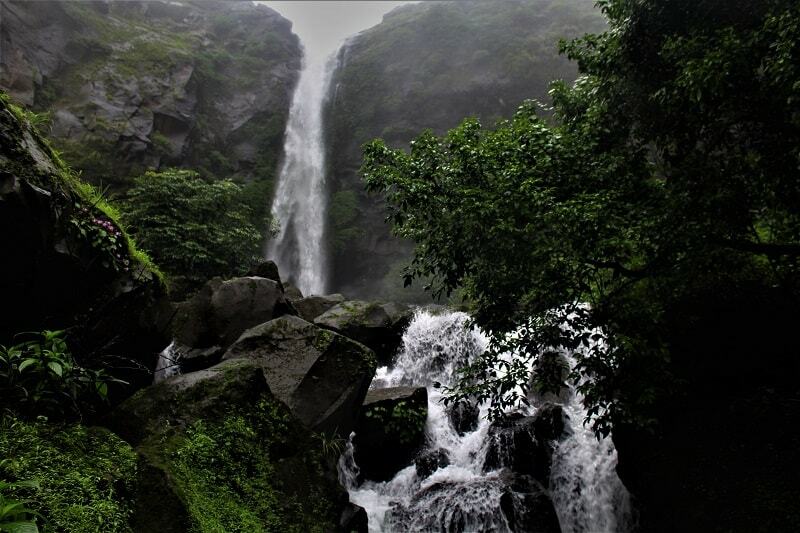 Generally, everyone covers Tamhini Ghat region on a day trip from Pune/Mumbai and rarely stays for a night. But if you are looking for a stay option, you can inquire at Vithal Kamat hotel. I didn’t try that option. Obviously, the monsoon months of July to September are the best time to explore this region. However, the region remains lush green almost for the entire year and is worth a visit any time of the year. A road trip which I supposed to end in 5-6 hours extended to 12 hours and still I am sure that there is so much left in the Tamhini Ghat region for me to explore. That’s the beauty of the place. I am surely coming back to explore more of it. Awesome. After seeing your pics seems like a must visit. Feels like I struck gold on bumping into your post. 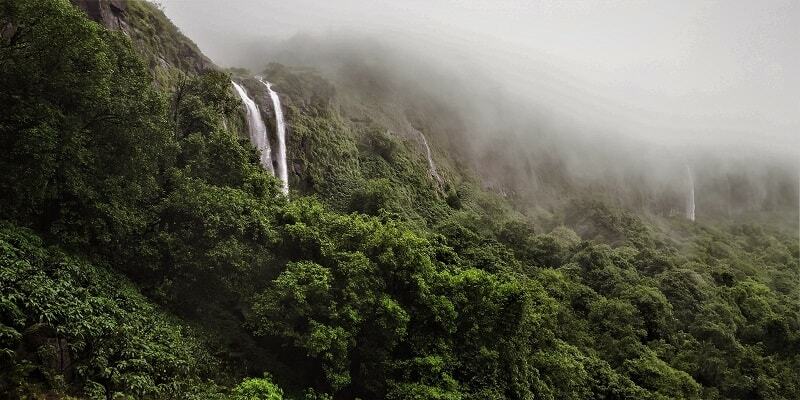 The place looks amazing with the milky waterfalls, foggy roads, mist everywhere and the inevitable greenery. 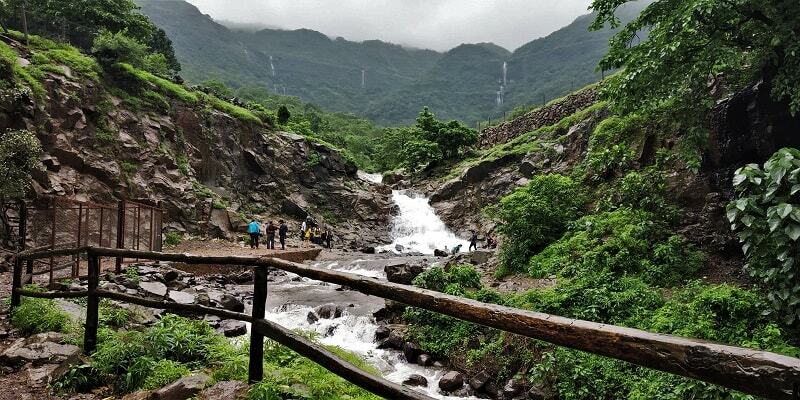 I would love to visit Tamhini Ghat anytime soon. Can’t wait to get drenched in the refreshing surroundings and waterfalls. I think you are done so much fun there. 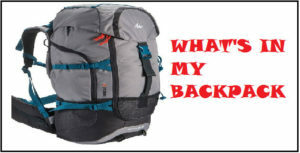 It looks from your pic. It is an amazing place I’m also visited sometimes to Tamini-ghat. Waterfalls are so amazing to me. 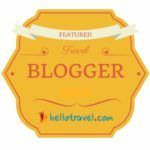 What an amazing blog. I think now I need to explore the Tahmini Ghat.